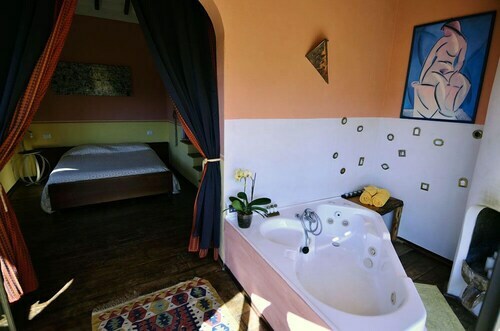 Situated in Seggiano, this hotel is 2.1 mi (3.4 km) from Garden of Daniel Spoerri and within 9 mi (15 km) of Monte Amiata and Mount Amiata Fauna Park. 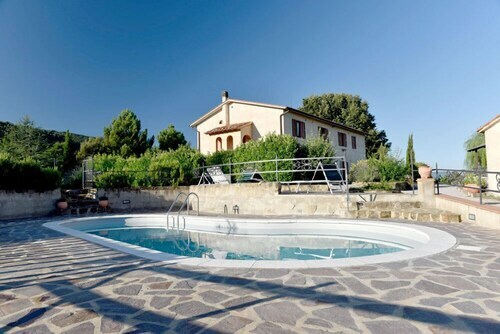 Castle Arcidosso and Parco Piscine Capenti Outdoor Pool are also within 9 mi (15 km). 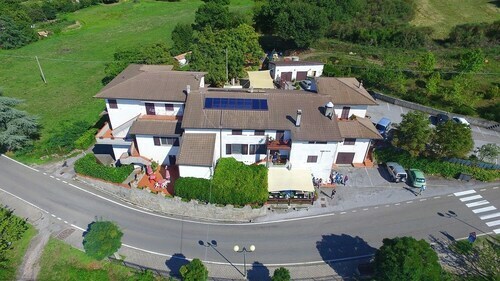 Situated in Seggiano, this farm stay is 2.3 mi (3.7 km) from Garden of Daniel Spoerri and within 9 mi (15 km) of Mount Amiata Fauna Park and Monte Amiata. Abbazia di San Salvatore and Baths of San Filippo are also within 12 mi (20 km). Situated on a river, this farm stay is 1.4 mi (2.3 km) from Garden of Daniel Spoerri and within 6 mi (10 km) of Mount Amiata Fauna Park and Castle Arcidosso. Parco Piscine Capenti Outdoor Pool and Mercury Mining Museum of Monte Amiata are also within 9 mi (15 km). Situated in a rural location, this country house is 2.4 mi (3.9 km) from Garden of Daniel Spoerri and within 9 mi (15 km) of Fortress of Tentennano and Mount Amiata Fauna Park. Castle Arcidosso and Abbazia di Sant'Antimo are also within 9 mi (15 km). How Much is a Hotel Room in Seggiano? Hotels in Seggiano start at $55 per night. Prices and availability subject to change. Additional terms may apply. Seggiano contains a great selection of places to sleep. Right now, Travelocity's easy-to-use booking guide contains 10 great hotels and rooms within a 6-mile (10-kilometer) radius of Seggiano's heart. Come across Borgo Tepolini and Ombianco 2 within a short walk from Seggiano's center. The Castello Banfi - Il Borgo is about 9 miles (15 kilometers) from the center of Seggiano. Another alternative is the Rosewood Castiglion del Bosco, which is situated 13 miles (21 kilometers) away. 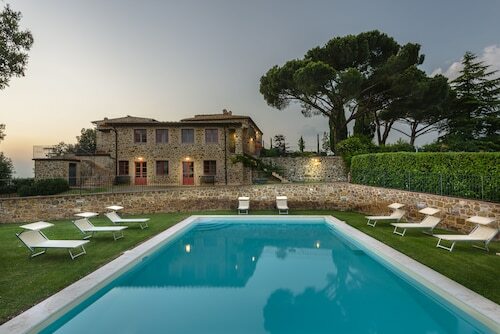 You could also choose to book the Castello Di Vicarello or the Castello di Velona SPA Resort & Winery. Researching so you can move a little bit further afield? Tuscany has many things to see. Check out Tuscany's ruins and castles and don't forget to see the region's rural landscapes. Popular activities in this particular region of Italy include snowboarding and skiing. Looking for more activities? Consider spending a day or two exploring Terme di Saturnia and Maremma Vigna Mia, which can be found in Manciano, 25 miles (41 kilometers) south of Seggiano. The Fattoria Pianetti and Montarlese Eco-Lodges are just some examples of the great hotel choices in Manciano. 40 miles (62 kilometers) west of Seggiano, you will find Scarlino, home to the Resort Baia Scarlino and Relais Vedetta. During your time in Scarlino, be sure to venture to the Castello di Scarlino and Cala Violina. Just because you and your traveling partners are far from home, should not have to mean that you can't enjoy your obsession for stadium sports. Stadio Artemio Franchi is situated 60 miles (97 kilometers) to the north of Seggiano. Modern travelers that are thinking of checking in to a room in the neighborhood, book in the Four Seasons Hotel Firenze or The St. Regis Florence. Peretola Airport is a practical airport for those flying into Seggiano. It is located 65 miles (101 kilometers) from the downtown precinct. If you would find it convenient to stay nearby, check out Torre di Bellosguardo or Sina Villa Medici. Pangea 8+2 Sleeps, Villa With Private Pool at Exclusive Use!